Facebook Lasso app for Android and iOS released, Create and share short videos with fun effects. 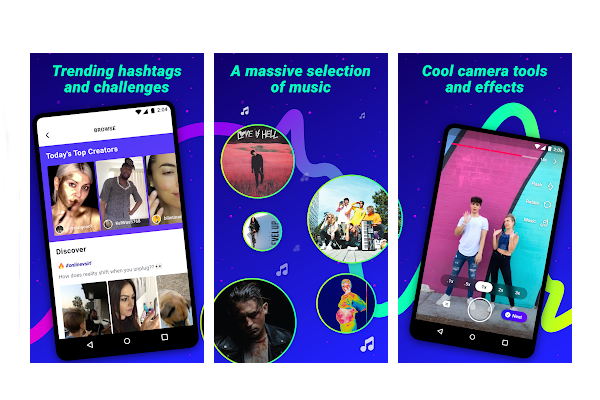 Facebook today quietly released an app called Lasso that lets you create short, fun videos and share them with friends. The Lasso app is currently available in the U.S on Android and iOS platforms. Lasso makes it easy for anyone to create and share short videos with fun effects. Follow creators, discover popular video trends and join in by putting your own spin on them. Once you've found a type of video that's trending, whether it's #comedy or #fail, you can use the in-app camera to put your own spin on it with special effects, music and editing tools. Add hashtags to your video to share it with the world! You can also add your videos directly to your Facebook story. Lasso's music library is one of the biggest. From pop hits to vintage classics, you'll find whatever song you need to take your videos to the next level. Lasso lets you know which hashtags are trending and which ones might be soon. Be one of the first people to discover a new trend or one of the first to create a video for it!